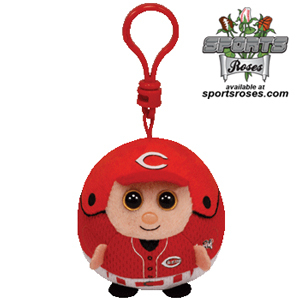 Send a cute and thoughtful Cincinnati Reds Beanie Ballz Clip to a special baseball fan. Beanie Ballz are manufactured by Ty, well-known for their popular Beanie Babies toys. 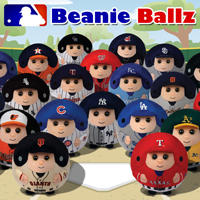 Ty continues their tradition of high quality toys with their new officially licensed MLB Beanie Ballz collection. You'll appreciate the attention to detail found on the baseball jersey and helmet printed on the Cincinnati Reds Beanie Ballz Clip. All official Reds team logos are printed on the Cincinnati Reds Beanie Ballz Clips to replicate the real jerseys and helmets worn by the big leaguers. 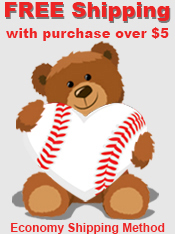 These adorable stuffed toys are guaranteed to bring a smile to any Reds fan. The miniature clip version of the Beanie Ballz can be attached to a purse, backpack, or hung on the rear view mirror to show off your Cincinnati pride. 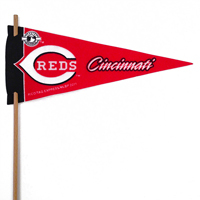 Red plastic clip to affix anywhere you want to show off your Cincinnati pride. 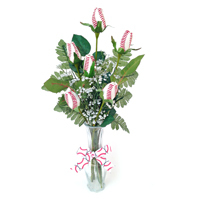 The "Grand Slam" of baseball flower bouquets. 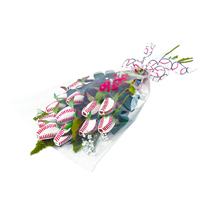 A full dozen Baseball Roses guaranteed to amaze any die hard Reds fan.